The Garden Court Hotel in Palo Alto located just off of University Ave provides a great location to host your wedding or reception just a few miles from Stanford University. 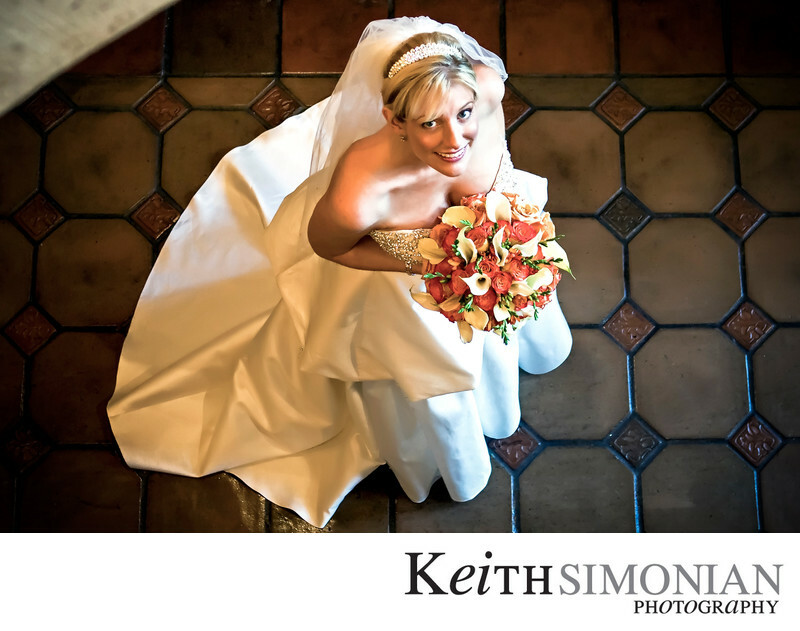 This image of the bride looking up was made in the front entrance which has the nice brown tile pattern with taking the photo from the top of 2nd story stairs. Location: Garden Court Hotel 520 Cowper St Palo Alto, CA 94301. 1/25; f/3.5; ISO 1250; 45.0 mm.